Home S What is Stellar (XLM)? 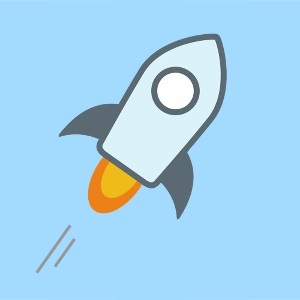 Following a steady rise in adoption & usage, Stellar (with its currency lumens) has been noted by many as “one to watch” in the world of cryptocurrencies. Unlike many other “crypto” systems, this has been designed by a very influential group, including a number of very highly regarded & connected advisers in Silicon Valley. 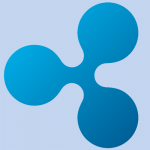 Indeed, the founder of this particular system (Jed McCaleb) was one of the developers behind the critically acclaimed Ripple system. Whilst the system itself is not dissimilar to Ripple (in that its core focus is on infrastructure development rather than trying to topple the USD), the most important aspect of Stellar is its huge network. 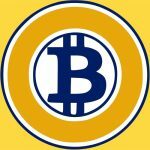 The people behind it not only lend it credibility (in a space that’s full of scams and shadowy characters) but also allow for a core set of principles to be carried forward by the development, rather than with the likes of Bitcoin where a lack of central leadership has left it vulnerable. The big break for Stellar appeared to come in the form of IBM, who was able to secure a partnership in order to speed up transactions handled through their own internal network. Not just an indication of validation, but justification for the underlying technology, the IBM deal lends massive weight to the fledgling technology. This not only means that the system is strong enough to support the requirements of IBM, but the trickle-down of advances made because of the deal will benefit the entire user base & community. In the latter half of 2017, Stellar’s price started to increase in line with Bitcoin’s. However, due to the core focus on providing infrastructure development, many have said that Stellar is a blockchain startup people should be paying attention to. The principle reason for Stellar’s inception was to remove the necessity for centralized array of “digital asset exchanges”. These are essential to the Bitcoin infrastructure as they are the things which allow people to actually facilitate transactions on the system. Whilst the system has all the hallmarks of a Ripple clone (which shouldn’t be surprising, considering its founder was also involved with the early development of Ripple), it has several important differences, namely the idea that it will remain a protocol despite having a large following & community. In fact, the reality between the Ripple and Stellar systems is that they basically began with the same codebase (as many crypto projects do). 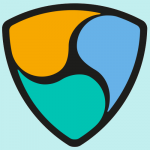 The issue that the founders of Stellar had with Ripple was to do with its “critical consensus” code – which was removed entirely and rewritten from the ground up for the new Stellar system. Shortly after launch in July 2014, the system started to grow through organic usage. Within a year, several major partners had joined the service as well as an impressive roster to its board & advisory roles. The important consideration with this coin is that it’s not a coin at all but an underlying infrastructure layer for handling payments in the most decentralized way possible. 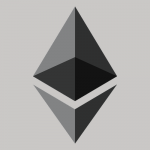 Check Out Also: What is Salt Cryptocurrency? One of the main ways that the Stellar team was able to achieve tractions was through strategic partnerships. This is important because most of the crypto systems out there have no such guidance. This lead to the IBM partnership in October 2017, which lead to a rally on the price of its lumen tokens, quickly followed by a fall. 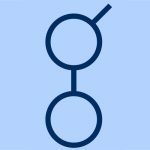 The Stellar system is heavily associated to Ripple both in style and substance. This is predominantly because of the technical founder – Jed McCaleb – being one of the core developers behind the former system. The two main people behind Stellar are McCaleb and Joyce Kim. The two created the original Stellar release, with a community of developers joining afterwards to help continue the development of the system. The main benefit to Stellar’s underlying structure lies in its advisory board – some of the most respected names in Silicon Valley, including Keith Rabois (Paypal Mafia), Patrick Collison (Stripe), Matt Mullenweg (WordPress), Greg Stein (Apache), Joi Ito (Investor), Sam Altman (YCombinator), Naval Ravikant (investor) and others. 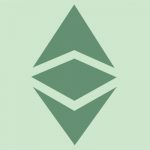 – American programmer known for creating eDonkey and Overnet, as well as the bitcoin exchange place Mt. Gox. In 2011, helped create the Ripple decentralized financial system and did the same in 2014 with Stellar. Continues to serve as the Stellar foundation’s CTO. – VC at Freestyle Capital, after being an attorney for several years. Graduated Cornell University at the age of 19 (!) where she now serves in an advisory role to the Stellar foundation. Stellar was forked from the Ripple codebase in 2014. This paper introduces a new model for consensus called federated Byzantine agreement (FBA). FBA achieves robustness through quorum slices—individual trust decisions made by each node that together determine system-level quorums. Slices bind the system together much the way individual networks’ peering and transit decisions now unify the Internet. We also present the Stellar Consensus Protocol (SCP), a construction for FBA. Like all Byzantine agreement protocols, SCP makes no assumptions about the rational behavior of attackers. Unlike prior Byzantine agreement models, which presuppose a unanimously accepted membership list, SCP enjoys open membership that promotes organic network growth. Compared to decentralized proof of-work and proof-of-stake schemes, SCP has modest computing and financial requirements, lowering the barrier to entry and potentially opening up financial systems to new participants. You can view Stellar Whitepaper here. The whole basis of the system is that it’s there to provide more decentralized & effective transaction processing. Rather than having to use a centrally-reliant network, it uses its own processing mechanism (SCP) to ensure that the system is as decentralized and effective as possible. Despite the price of each of Stellar tokens not rising that much, the overall volume of transactions, and its steadily rising market capitalization, have lead to the indication from analysts that this is certainly a system to pay attention to. Growth & usage for the service exploded after the IBM partnership, and is showing no signs of slowing down. 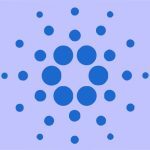 As such, if you’re looking to purchase Stellar for your portfolio, there are several things to consider. You must appreciate that this is not a Bitcoin killer. It was never designed to be and never will be. It’s more a Ripple killer although that’s not strictly true, either. In the crypto space – decentralization is the name of the game. How that decentralization happens is (mostly) secondary. The most important thing is that (typically) blockchain-based services are now being brought into larger companies, banks and even government institutions in order to reduce maintenance costs and improve efficiency. Stellar – as Ripple – are working behind the scenes to make this happen. The point here is that if you’re looking to invest into the crypto space, you need to understand what you’re actually buying into. Stellar and Ripple are infrastructure layers for different stakeholders, meaning they are not trying to replace the USD and have an actual business use-case. Thus, when considering the potential of Stellar, what you need to be looking for is the way in which the system *could* be used to increase either adoption or usage within its network. This is why the price of each of its lumens (tokens) is pretty menial (despite having a large amount of throughput / volume). And with central analysts speculating that a major correction in the Bitcoin price will come in the next 6 months, most believe the majority of altcoins riding BTC’s coat-tails will die too. The ones that will weather the storm will be ones such as Stellar which have real assets and provide real value to actual customers. What Ripple looks like it’s doing for banks, Stellar looks to be doing for private enterprise. Agree except maybe the last line. At this time, most banks do not to want to be directly associated with crypto, which is why IBM’s platform is more appealing. Most banks are already using IBM and the transition into blockchain will happen, but be a slow process. This is not an anti-Ripple post, as both have a place and will succeed at some level. I compare it to Visa vs Mastercard. Both will win but my money is on Stellar being the sleeping giant. Hmm, well at some point I agree with the last line of the article. Ripple is focusing and reaching out to large corporations and financial institutions such as Banks and has got brilliant people on its team so its not impossible that Banks would use Ripple tech in the near future. Stellar on the other hand aimed to facilitate cross-border remittances for MOSTLY the unbanked and IBM has major role of doing this so. I invested on both as well, but we really don’t know what will happen in the future. But this two project has got brilliant people behind it and would surely succeed at some level. That’s just an opinion though.